Every writer I know feels pressure to build their platform. From the pre-pubbed stage, sending out proposals to an agent, then editor, to published authors working on keeping their numbers up, it can be a constant maze of hunting through websites telling you how to do it the best way. Despite how you package promoting, be it in a contest, giveaway, or ad, there is only one thing that truly matters to determine its success. Are you giving your target audience something they find of value? Join five mountain fiction authors with our virtual cookie recipe exchange, and downloadable Bible verse garland and gift tags. Notice I didn’t say something valuable to a reader. There are many readers out there, but not all readers are your target audience. You need to have a deep understanding of your reader before you plan any promotional event, especially a multi-author one. 1. Start by identifying other authors who have similar target audiences or readers as yours. For cross promoting to work, the audiences must be linked by a similar interest. 2. Decide what will be the common theme for the event. You’ll need to decide before inviting the other authors to your event what the theme or purpose will be. And it is not to sell books. This is what you hope will be the end result, but the purpose of the event will be to somehow reach readers and enrich their time spent with you. 3. Send out the invites with a time frame for response at least two months before the date of the event. Expect to have some authors not be able to join you. Be gracious and thank them for considering. Move on to the next authors on your list. 4. Ask for ideas or comments on how to make the event better. Allow the other authors to have a say in the event, but be sure you have one person who is the leader. When planning the Mountain Hearth Christmas, it was my original idea to just have it be a virtual cookie recipe exchange. Amanda had the idea of incorporating the printable Bible verses for garlands and or gift tags. 5. Be very clear on what is expected of everyone. While all of the fabulous authors in the Mountain Hearth Christmas worked together, it’s best to let everyone know what you’d like them to do. For example: everyone is expected to share links on their social media pages each day of the hop, not just the day it’s being hosted on their own website. Cross-promoting only works if everyone helps. 6. Send out reminders leading up to the event. The leader should send out reminders as things draw nearer. Keep them short and to the point. Always be respectful of others’ time. Three weeks before, two weeks before, and the day before are a good time frame. You may want to have the leader send out daily emails the morning of the event with the link to that day’s highlighted article and composed social media updates for people to copy and paste if pressed for time. Want to see a multi-author cross promotional event in action? 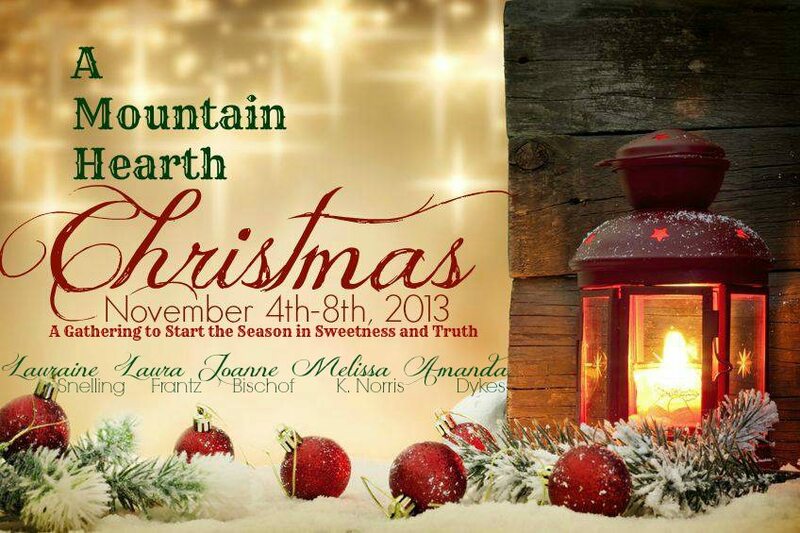 I’m thrilled to be part of A Mountain Hearth Christmas. What multi-author events have you been part of? Have you attended any multi-author events you thought went well? What did you like about them? This entry was posted in Fiction, Marketing and Promotion, Non-fiction, Publishing, Social Media and tagged Advertising and Marketing, Melissa K. Norris, Pioneering Today, promoting by Melissa K. Norris. Bookmark the permalink. Melissa K. Norris is a 5th generation homesteader who believes homegrown and Mason jars should be the foundation of every kitchen and healthy food can also taste amazing, life is too short for anything else. She’s the voice of the popular Pioneering Today podcast, author of The Made-from-Scratch Life and Hand Made, and founder of the Pioneering Today Academy, along with her blog at melissaknorris.com she teaches people old-fashioned skill sets and back to basic living in a modern world. When she had her stomach and esophagus biopsied for cancer nearly a decade ago, she and her husband were determined to raise more of their own food in the footsteps of our ancestors for their health and peace of mind. While still working day jobs, sometimes multiple ones, they raise all of their own organic grass-fed beef, pork, meat chickens, hens for eggs and close to 65% of their own fruits and vegetables in just a few hours a week. Some of Melissa’s earliest memories are of being in the vegetable garden. Her family has been saving their own strain of heirloom Tarheel green pole beans for over 100 years. They grow an all heirloom garden, seed save, and try to produce as much of their own food because they believe a garden isn’t just food for the body, but food for the soul as well. They strive to produce a year’s worth of food with as many crops as possible and heirloom tomatoes are one of those, even in the rainy Pacific Northwest and with a short growing season, because once you go vine ripened, you’ll never go back. Peter, I’m glad this helped you. It’s always fun to work with peers you respect and help one another. Good luck on your book. What’s up, this weekend is fastidious in favor of me, since this moment i am reading this wonderful educational piece of writing here at my residence. Melissa, you do a great job with this topic. I’m going to give some thought to promoting in this way in addition to what I’m already doing. Thanks, Janalyn. I can imagine a winged horse in your graphic already.